Rise and Shine - Yoga Kula. 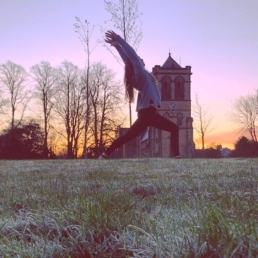 Rise and Shine: two perspectives on morning yoga. Some people look at me like I’m a crazy person when I tell them that I go to a yoga studio for a 7am class. ‘Why?’ is the resounding question that gets thrown at me. Well, it’s quite simple! It is no secret that yoga makes people feel good. And I know that no matter how I feel before a class I always feel better afterwards, more than better in fact. It’s like having a double espresso with 3 sugars to get you going before facing the day! So, my question to people is why would you want to wait until AFTER work to get that boost? To release any anxieties or stress? Some say that making your bed every morning sets you up for success. But, for me, easing into my day with a guided yoga class is the answer (my bed most definitely remains un-maid because, well… priorities!). Its like a super long bed stretch, a reset button, a gentle persuasion for your body and mind that there is stuff to do and that you are ready to do it! I have never been able to motivate myself to do a self-led practice on a morning. It is too easy to convince yourself that sleeping a little bit longer is going to be way more beneficial than getting on your mat. But if I have a class booked in, I know I will get up and go. And I never ever regret it. Though Kula is always a welcoming space, there is something so peaceful about being there before anyone else. Allowing someone to guide you into your day and to achieve so much, all before having a sip of the freshly brewed tea that is always waiting for you after class, is simply rewarding. So, if you have never tried a morning class, maybe give it a go. Even those of us who don’t think we are morning people may be pleasantly surprised by how we feel afterwards. I have never been lying there in savasana thinking ‘oh, I really wish I didn’t come this morning.’ Though sometimes I may be thinking about what’s for breakfast! A Teacher’s Perspective by Orla Jackson. For me the benefits of morning yoga are massive—it brings alertness to the mind, increases the range of movement in the body, releases stiffness that develops during sleep and sun salutations work particularly well at warming the body and making it more supple. Orla is currently teaching our Wake-up Haha class on Friday morning, tomorrow is her final class. Our other morning class is Yang & Yin on Wednesday mornings at 8am. Click the link below to book either of these classes.